They say hill climbs and twisty roads are a bliss for enthusiast bikers, with every curve being as exciting as the previous one, the fun never ends. Guess the place guys... anyways let me tell you ... the place was LAVASA. Distance we had to cover in round trip was 370 kms. A comparatively long distance for one day trip but, we decided this time that we are gonna make it.... and guys... yes.. we made it :). I was more than glad when made aware that the third winter ride, also marking the first one for 2016, was to Lavasa. Why? well words cant really replicate the journey to this beautiful city of dreams. Located near Pune in the Mose valley of the Western Ghats, Lavasa claims to be India's first private and planned independent city. Located roughly 187 kms from Mumbai, the city is very popular for its Italian design and planing, attracting tourists from India and beyond. 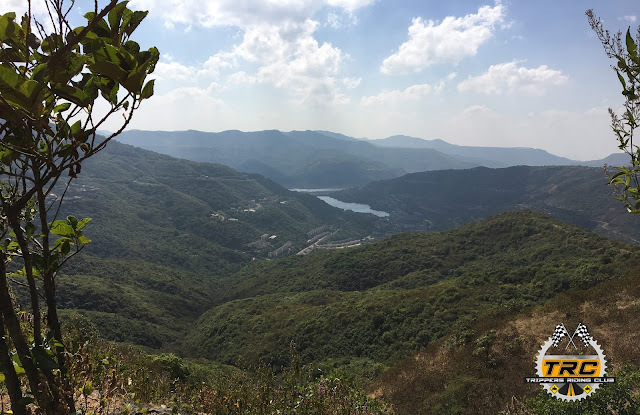 Its very popular during monsoon for the scenic beauty, but remains a favorite destination amongst bike riders, who wish to enjoy pure ghats without the unnecessary city traffic and hassle. After so much plan and preparation, day has come for executing our thoughts. The beauty of winter rides has always been the amazing weather and photogenic scenery. Chilly as it was, the day began at 04:15 Hrs on a lazy Sunday in January. My own bike took 5 minutes to start and idle right, but once the firing was smooth, I quickly hoped on, adjusted my mirrors and took off. It was a 30 km ride to the assembly point and it was a delight to see the good old TRC riders and many new faces and bikes. The enthusiasm was high amongst all the members and after a brief conversations among ourselves, the group was addressed at 06:00 Hrs by Harmeet. New members were warmly welcomed and integrated, and after a short round of introduction, we were informed about the plan of action and then the safety rules and riding guidelines. 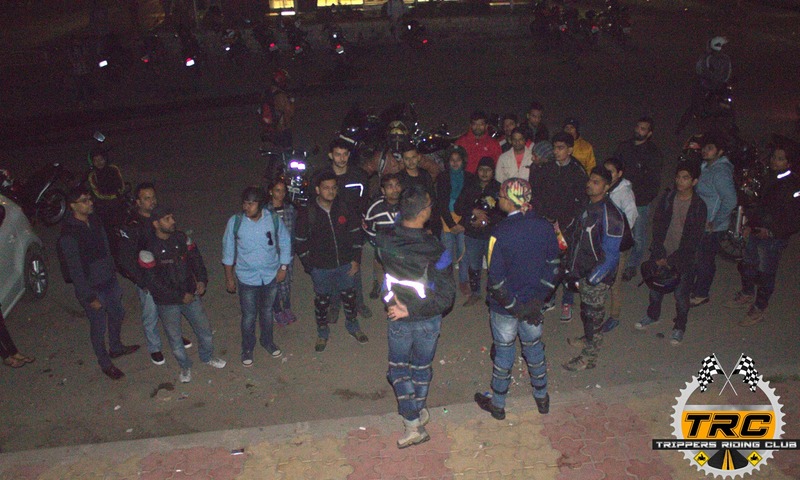 With a few photographs being clicked and the formation being decided, we all geared up and warmed our engines. We lined up our machines, and as the sun was just about to throw some light, we made a move. 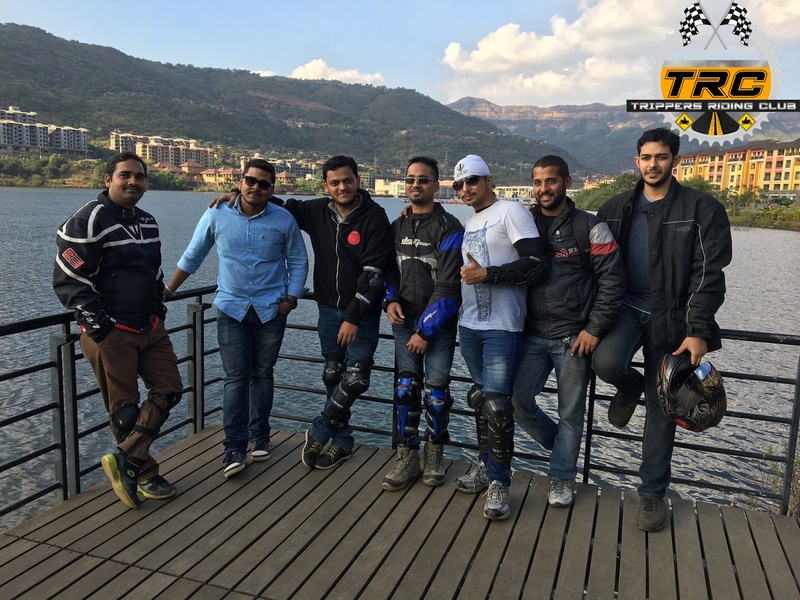 Harmeet was at the lead, Aniket and Parth being assigned the duty of the marshals. As the convoy passed through the city of Panvel, we all were greeted by an amazing sight of smog and the early dawn through empty lands and farms, something which we don't see in the city itself. As the roads were scarcely occupied, we quickly flew past at a cruising speed of 80 kmph. This ride through the early morning on a Sunday was so refreshing, reminding me of times when you are greeted with one of those scented wet tissues when you board a flight for an exciting trip across cities. The cruise till Khopoli was inspiring as we saw many fellow bikers with their bikes, all headed out for a weekend getaway. Well, at least almost. We climbed the steep hill bringing us up to the famous hill station of Lonavala, where we had decided to stop for breakfast. 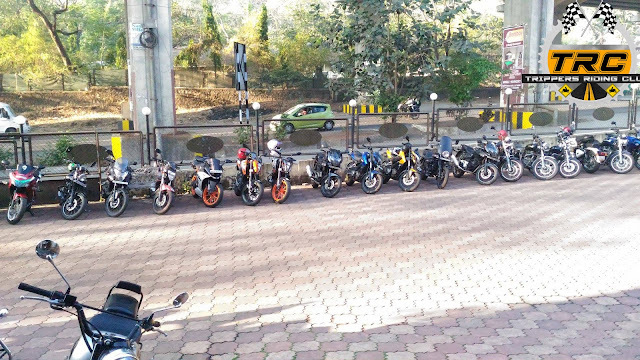 At 07:45 hrs, we entered Kamat hotel and after lining up our bikes, we hoped inside for some quick snacks to keep ourselves filed for the day. By this time, the sun was out, with the rays scraping our bikes. What a sight! We were then joined by Karan, who has been TRC's marshal for some time now. After some quick clicks and poses, we geared up again and came into formation. This time the lead was shared by me and Sunny while Parth and Karan did marshaling. The convoy was well organised, thanks to efforts from the marshals. We kept cruising at speeds of 70 kmph and after a long and eventful ride, through the utterly bad roads of Hinjewadi full of potholes and dust, we entered the bottom of Lavasa. It was almost noon now, and the sun was right above our head. We stopped for a quick bio break, time to stretch and make any adjustments to our gear, as the 22 km long twisty road was right ahead. 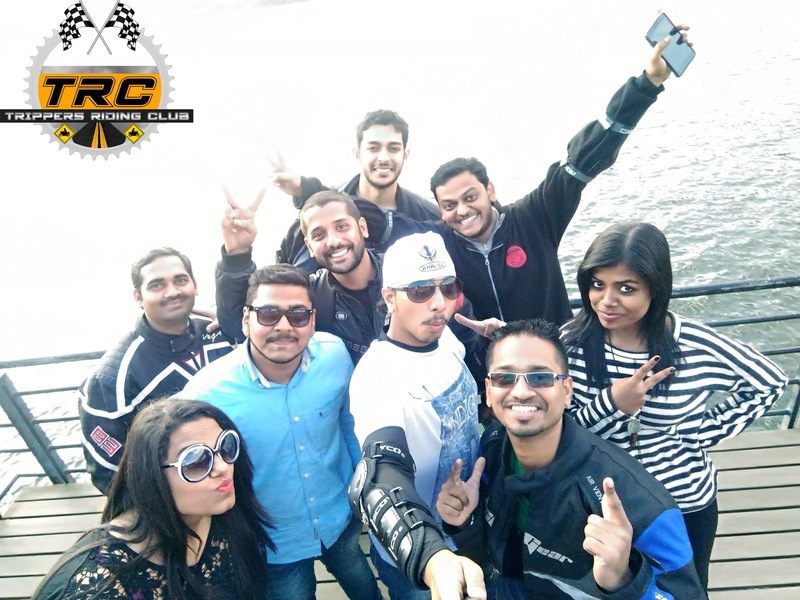 Everyone in TRC is fond of being clicked, so after a few quick shots, we again jumped on our bikes. We could see the first curve from this spot, and as we started our engines, my heart beat increased. It is time to flow like a stream of water through the curves. We took off, gained some speed, as the curve approached my bike, I braked in, shifted down, assessed the curve for the apex and whoop, went into it. It was one of those moments when you and your bike unite. And as I exited out, I could see the next curve, and then the next, and then the next. The bikers were completely into it, enjoying each and every bit, some pillions were out with their cameras, trying to capture the moments as we passed through the ghats, we were welcomed by many villagers. We were shortly descending Mutha Ghat, and we quickly passed the famous Temghar dam, and as we assenting the next hill, our ride was coupled by the scenic beauty. 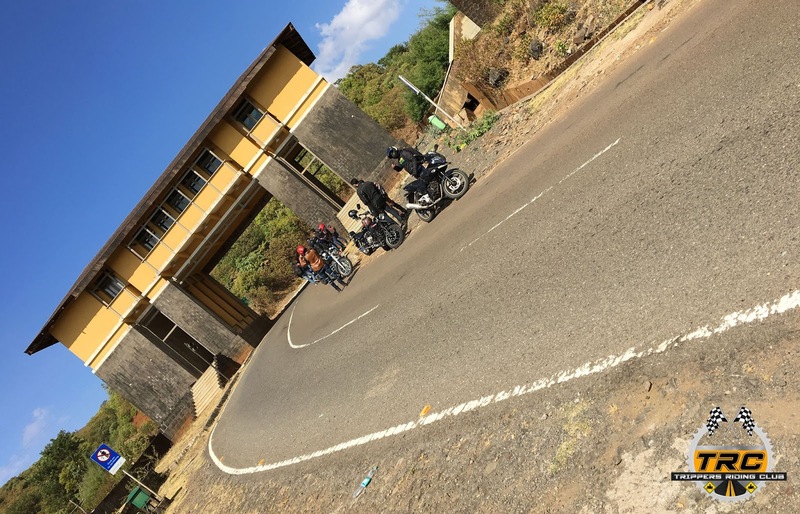 Our bikes kept munching the kms and in no time we were at the main gate of Lavasa. After paying a return toll of Rs.30, we halted to view the famous city from a birds eye view point. 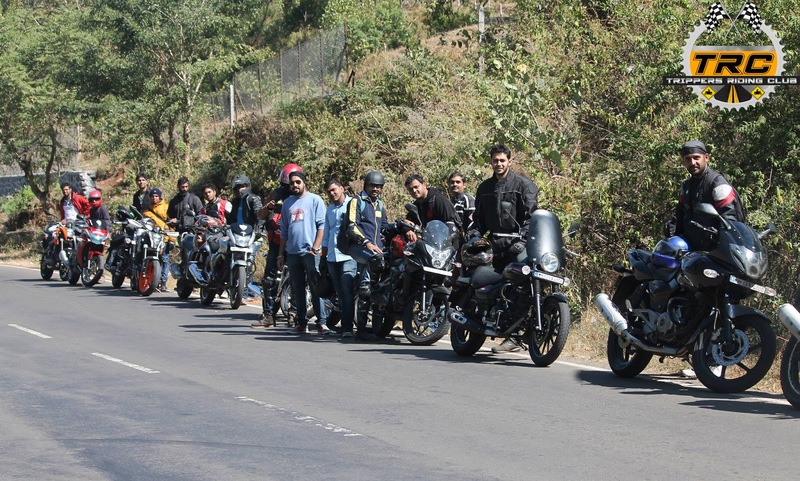 We then quickly descended, chasing each others bikes, and entered Lavasa with a huge smile on our face. This city has always been welcoming to outsiders, which makes people feel at ease and enjoy the tourist spots. After reaching to our awaiting destination and capturing some enjoyable and happy moments to our "TRCians", we enjoyed having authentic Maharashtrian food, just beside the lake after the dam. 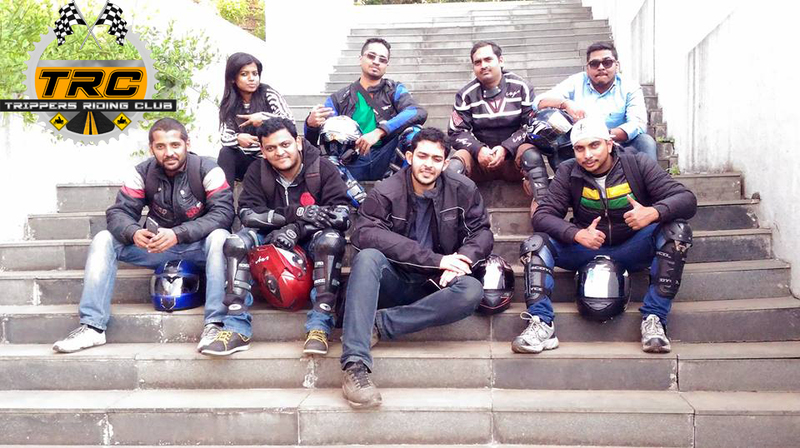 It was a great refreshing experience and exploring wonderful place with wonderful friends riders. We all had enjoyed up to the max that we could, thinking about the curves, my beast, friends, beautiful nature and then I slowly went into the lap of sleep. Let's keep exploring nature and ourselves. I hope you liked this post! Do give us a feedback in comments below.